Ah, the handoff of a qualified lead from Marketing to Sales. It’s what we as marketers work so hard for and it’s what a salesperson has been dreaming of since day one. 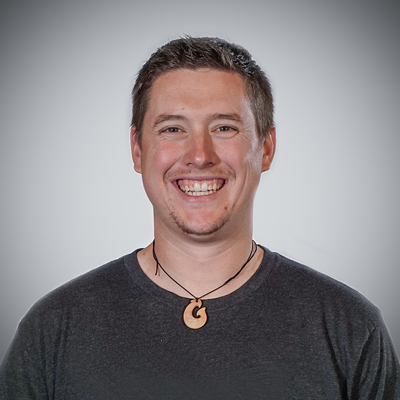 Just thinking about generating, educating and nurturing a lead through the inbound process until they’re ready for Sales to enter the frame makes me smile and I can’t imagine a salesperson would feel much different. Is that weird? Whatever, don’t judge us. As great of a feeling as that handoff can create, it can be completely spoiled if a Sales team is left unequipped and uneducated on how to properly handle these delicate inbound leads. As many marketers already know (yet few seem to share with Sales), inbound leads are not the same as cold prospects. They already know who your company is (or have at least a majority of the story), they already know what you sell and they (for the most part) already know that they want to buy. Aside from the style of approach, often times marketers provide very little insight into how Sales should utilize some of the information gathered by their marketing automation system, leaving them left wondering how to and when to utilize the embarrassment of information gathered. If a salesperson loses a lead because they were unaware of how to use the lead intelligence collected to style their approach, that is a failure on Marketing’s end, not Sales. Before a lead is ever handed off from Marketing to Sales, every salesperson involved should have a detailed knowledge of the inbound marketing process and the tools being used to generate and nurture these leads so they can then better connect with their prospects as they come through. Knowing this, here are a few do’s and don’ts for any sales person who is about to start working with inbound leads for the first time. By following these simple rules, Sales will be able to avoid some embarrassing mistakes that Marketing otherwise may have set them up to fall right into. Above all else, Sales must follow these tips before and during the initial contact of a lead in order to properly connect with their prospect. 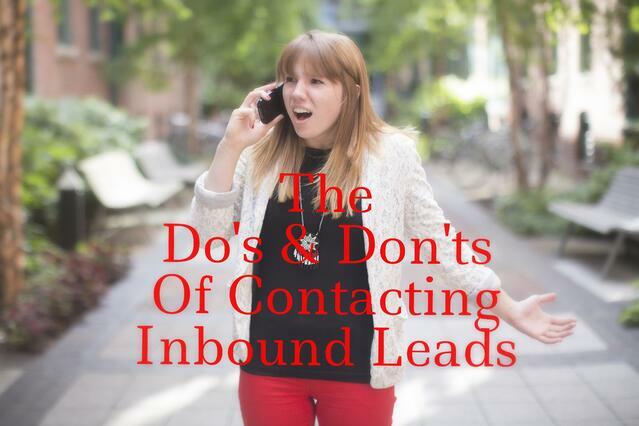 Often times, inbound leads are given the opportunity to request contact via their preferred channel whether that be phone, email or other. If none are requested, marketing websites will often promise that Sales will contact the lead via a specific channel. As we continue to move further into the age of the customer, everyone connected to a business must realize that attention to this sort of detail can mean all the difference for the prospect. This is twofold. Firstly, it should be made clear between both Marketing and Sales that when a lead comes in that requests contact, they should be handed off to Sales and contacted within a specified time frame. Whether that is within an hour, 12 hours or 48 hours is a different story and one that should be ultimately agreed upon by both parties. Secondly, much like our first “Do” above, Sales must consider when the prospect would like to be contacted, especially if they specified in a form submission. These proposed time slots are likely their best and most convenient times of the day to talk so Sales should be considerate and make it so that both their schedules work. Marketing automation systems and the different software that Marketing utilizes to attract, convert, educate and nurture leads allow for some extremely powerful lead intelligence by the time a prospect is ready for Sales. While the Sales team should have access to this useful information, they must first understand how to harness and use it to their advantage without “being a creep.” Make sure that Sales understands that while yes, we do have information on their company and yes, we do know every web page the prospect visited and which marketing emails they opened, we need to focus more on using this information to build a better understanding of the person and their needs and less on promoting the fact that we know what they’re doing at all times on their website. A delicate touch when it comes to utilizing this information is needed to successfully connect with and help a lead and avoid creeping them out. At all costs, Sales must avoid these pitfalls during the sales process with the lead in order to sidestep any potential miscues. Playing along with the last “Do” listed above, directly mentioning website activity and the ability to track it is something that should almost never be done. While it is ok to mention that you received a person’s information from a form submission and that you understand the reason they wanted to talk to you came from that form, you should avoid mentioning things like specific page views, IP address information (location information can be gleaned from this) and other secondary pieces of information that a lead may or may not know can be collected and tracked. As a general rule, if your explanation of how you know a piece of information requires you telling the lead about your marketing software or tools, you shouldn’t be sharing that information in the first place. An important item to understand by both Marketing and Sales is that not all leads have to be sales ready to hand off to Sales. Depending on the industry, company and Sales team, you may be handing off both “hot” (have specifically requested to talk to Sales) and “warm” (have been pre-qualified as a prospective client and have shown positive engagement on the website and with marketing) leads to Sales in an attempt to increase the number of leads Sales has access to and the likelihood of more closes and contracts. If this is the case for your company, Sales must understand that all inbound leads first require education and answers before selling. By approaching a prospect as a resource first and salesperson second, Sales can avoid the “pushy” stigma that has been attached to it for so long and create better relationships with their prospects and ultimately close more business. Sales is tough. There’s no doubt about it. Cold calling, prospecting and networking are not as productive as they once were, especially as more and more consumers become more educated on what they need and don’t need. Inbound marketing helps Sales by generating warmer leads who are more likely ready to purchase but that doesn’t mean that the sales process is made easier. With more tools and insights and a greater focus on the prospect’s needs comes the need for Sales to fully understand the subtle nuances between inbound and outbound sales.